I think my favorite part about Elizabeth Warren's ridiculous DNA stunt is that a whole team of advisors, videographers, family members, and the would-be candidate herself all decided that it was a good idea. Mind-bendingly, they actively chose to go out of their way to publicize the results of a DNA test that showed that Warren likely had a single ancestor, six-to-ten generations ago, with Colombian, Mexican, or Peruvian blood. This decision was greeted with widespread ridicule on the Right, and more than a modicum of criticism on the Left. Warren stepped on an identity politics landmine and it detonated, years after she'd cynically listed herself as a racial minority in a hiring directory -- only to abandon the farce after attaining tenure at Harvard Law. Nearly two months after Ms. Warren released the test results and drew hostile reactions from prominent tribal leaders, the lingering cloud over her likely presidential campaign has only darkened. Conservatives have continued to ridicule her. More worrisome to supporters of Ms. Warren’s presidential ambitions, she has yet to allay criticism from grass-roots progressive groups, liberal political operatives and other potential 2020 allies who complain that she put too much emphasis on the controversial field of racial science — and, in doing so, played into Mr. Trump’s hands. Advisers close to Ms. Warren say she has privately expressed concern that she may have damaged her relationships to Native American groups and her own standing with activists, particularly those who are racial minorities. Several outside advisers are even more worried: They say they believe a plan should be made to repair that damage, possibly including a strong statement of apology. Now that he's ruling out a POTUS campaign, Perhaps Patrick can make it official and become an Obama speechwriter. 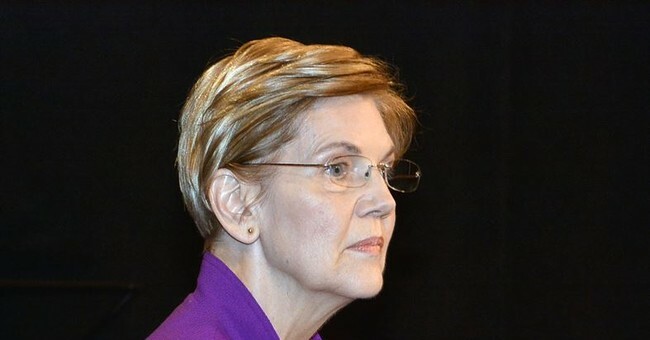 UPDATE - The Boston Globe's editorial board, comprised of the overwhelmingly the leftist editors of her liberal hometown paper, has now suggested Warren should eschew a presidential bid.